In the first of a series of interviews with graduates, the man responsible for turning DC Comics’ iconic characters into collectible form talks about his time at the Gnomon School of Visual Effects, and how it led to a career in CG. In June this year, James Marsano graduated from the Modeling and Texturing track of the three-year Digital Production for Entertainment program at the Gnomon School of Visual Effects. 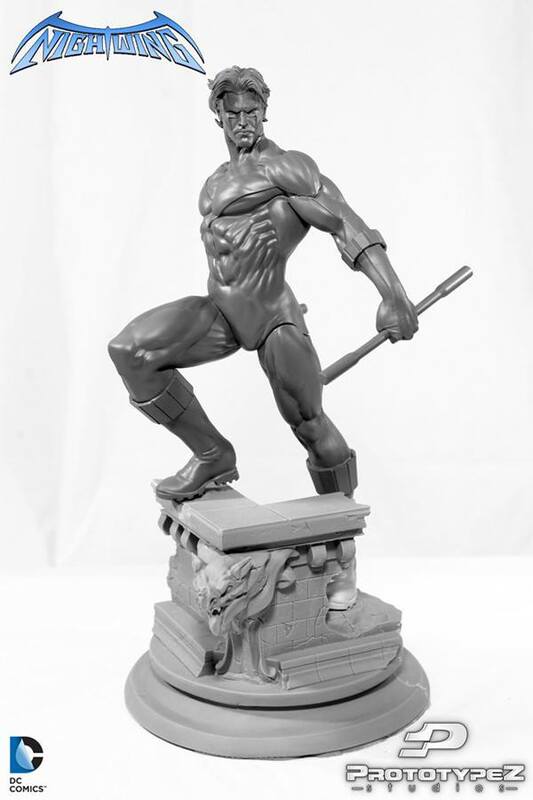 He now works as a sculptor for DC Collectibles, converting DC Comics’ iconic characters into physical form, and has also interned at collectibles specialists PrototypeZ Studios. In the first of a series of interviews with recent graduates, we asked James about his time at the top CG school, how it has prepared him for life in the industry, and his tips for ambitious students looking for that first break. CG Channel: Why did you decide to attend Gnomon? James Marsano: Ever since I was a boy, I’ve always loved playing with action figures. I used to draw a lot of superheroes and make things in Play-Doh. Then in 2009 I started playing with Sculpey [polymer clay]. That opened my eyes to creating more things in three-dimensional form. I took art classes in community college for two semesters, but I felt like I was wasting my time there since they required me to take classes like math and English in tandem. At that point, a friend of mine from high school contacted me and convinced me that I could sculpt toys digitally, and that there was a school specifically for that. Knowing the Shiflett Brothers, two of my favourite sculptors, had made a DVD for The Gnomon Workshop, I checked out the school’s website. I got really intrigued by the education Gnomon offered, so that basically sealed the deal for me to study 3D sculpting. 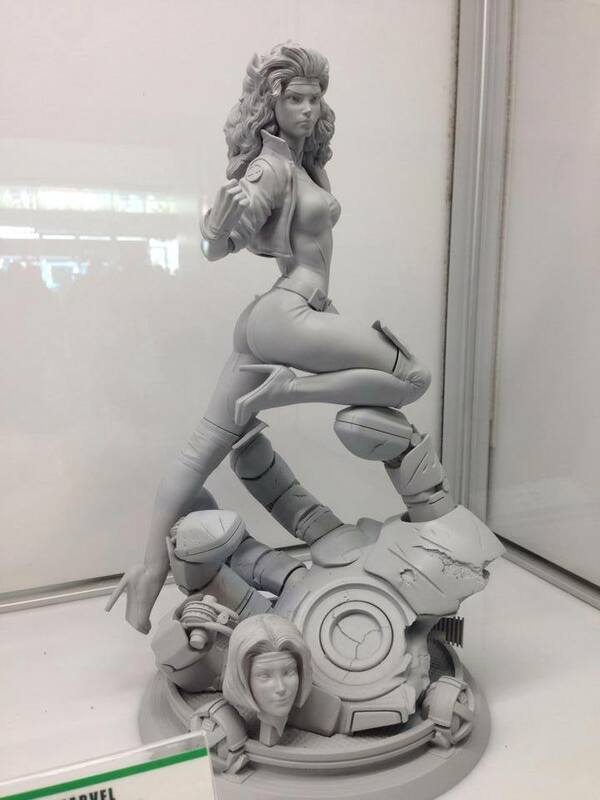 A sculpt James created for model kit and collectibles manufacturer Kotubukiya, working alongside PrototypeZ Studios’ Erick Sosa. “I love sculpting characters and that’s what I’ve always wanted to do,” he says. CGC: What was the experience like? That was around the transition from the first to the second year. I was the only sculptor in my year, and I was frustrated with texturing. But I had a lot of friends working beside me, so I asked them a bunch of questions to get through my homework. All of them were really helpful: at Gnomon, your peers are your second family. Eventually, after a lot of patience and practice, I became a lab monitor for sculpture, helping other people during John Brown’s sculpture classes. I found that relaxing. I did it up until it got to demo reel time. CGC: Demo reel time is when you build a portfolio from which companies can hire you. How did it go? JM: It was like the final boss in a video game. On certain tracks, you get to face Alex [Alvarez, founder and director of Gnomon], and his critiques are harsh and truthful. They will stab you in the heart if you do poorly, but they’re very constructive. He makes you battle-ready for any project a company could give you. We got two weeks to work on each project, which for us modelers meant presenting a clean, finished model in the first week, then texturing it in the second. It’s very intense. Some nights you don’t get much sleep. 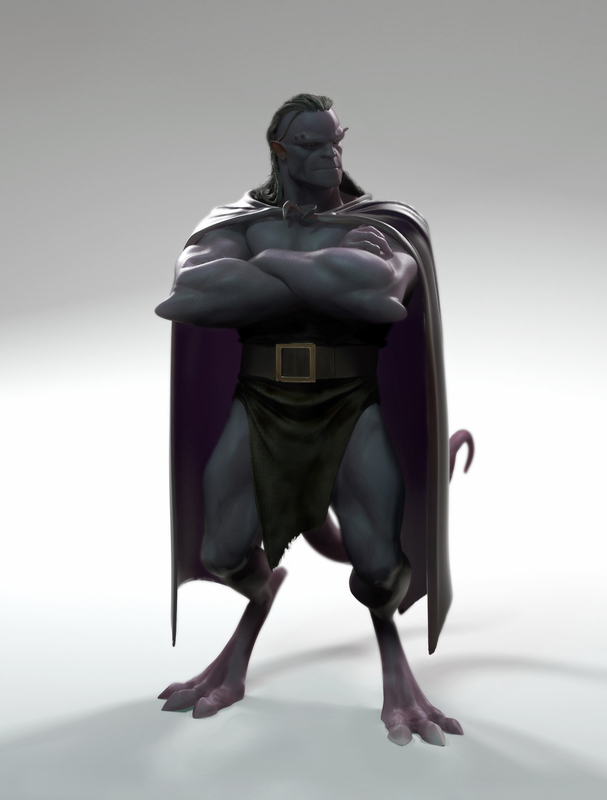 Part of James’s work from the demo reel class at Gnomon: a sculpt of Goliath from Gargoyles, created in ZBrush, Maya and Photoshop from a concept by Ryan Lang. The class helps students build up a professional portfolio. CGC: How did you get your first job after you graduated? JM: I was lucky: the art director of DC Collectibles had contacted me six months before I graduated. Because I did an internship with a collectibles company [ProtoypeZ Studios] during my last term at Gnomon, that really helped me to know what to expect when working with DC. CGC: How does life in the industry compare to the way it’s explained in class at Gnomon? JM: It’s pretty much the same: just do what you are asked by the art director. If they are being vague, ask questions. If they don’t respond, try to do two versions of what they ask, and always meet your deadlines. I’m still struggling to figure out how to make certain objects for my characters, but each time I get faster and more efficient. Even after Gnomon, you’re always going to be learning new things. CGC: Are you where you thought you’d be when you first started at Gnomon? JM: To be honest, I don’t really know. I just love sculpting characters and that’s what I’ve always wanted to do. I want to provide the best-quality collectibles a collector could ever ask for. In future, I want to build my own collectible company, so that I can travel the world and have a steady life with a safety net for my family. 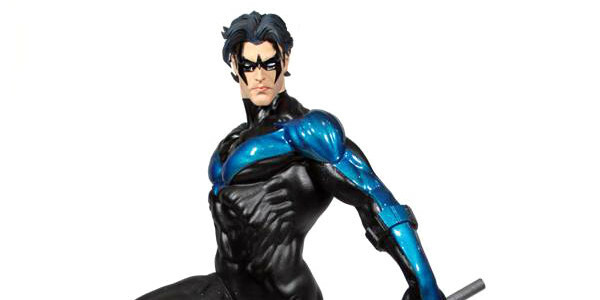 Nightwing: a resin kit James sculpted with Erick Sosa while interning at PrototypeZ Studios. The experience readied him for his first full-time job in the industry, working as a sculptor for DC Collectibles. CGC: What advice would you give current Gnomon students – or students in general? JM: Always be hungry to learn. Follow directions, and if you don’t understand, ask questions. Don’t be cocky: never think you’re better than anyone else, and when you give crits to someone, always be constructive. Get plenty of sleep. Eat right. Work out. Have some kind of social life at least once a week. Respond your director’s emails ASAP and let them know if you have troubles. And above all, have patience: never give up. CGC: What challenges did you have before starting at Gnomon that you still face in the industry?